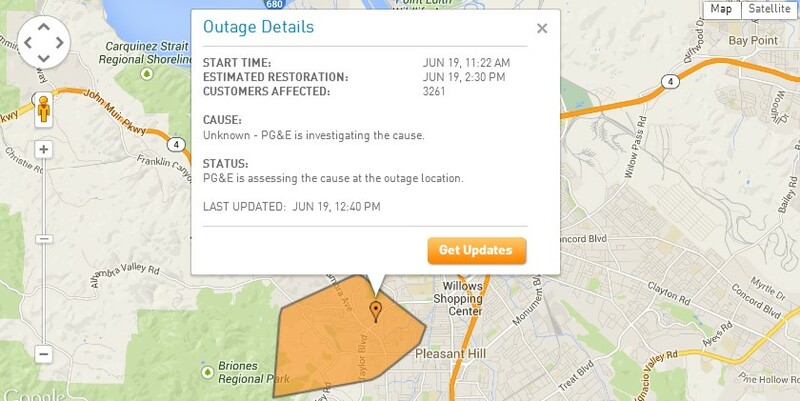 About 3,200 people are without power this afternoon in parts of Pleasant Hill & Martinez. The cause of the outage is unknown, PG&E is currently investigating the cause. PG&E says the power should be fully restored by 2:30pm today. There are intersections with traffic signal lights out. A very dangerous situation where EVERYONE needs to pay extra attention. Be on the look out for the clueless behind the wheel. They haven’t got the faintest idea what the problem is, but they’ll have it fixed by 2:30. Wonder if it’s related to a very tiny power blip that hit my area this morning? 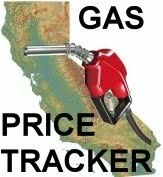 Nowhere near PH or Martinez but with PG&E you never can tell. By the way PG&E want to raise rates again for administrative functions. Maybe I’ll be okay with that AFTER they learn how to keep decent records. Well, it’s 330 and it’s back on again, give it to pge to maintain the bottom line. I also live no where near this outage (The Crossings), but our power also went out for about 4-5 seconds, just enough to knock out all digital devices…had to re-set everything. I don’t see PUC doing anything for customers. PGE is so out of control. Awesome! Glad you took some time out of your day to post that useful info. Good stuff! Original G on Concord City Council Set To Discuss Proposed Chick-fil-A Restaurant On Willow Pass Rd.South end of sun valley mall parking lot, better access to freeway on ramps and off ramps and it might help sales at the mall.